Choosing between a hand planer and a bench planer is, in the opinions of many experts, a difficult undertaking. Shaping, smoothening, and straightening wood are some of the traditional tasks that hand planes are used for. On the other hand, bench planers are known for their capability to handle lots of lumber at a time. Unless you specialize in woodworking, it is not easy to find the fine line from bench planer vs hand planer. In this article, I’m putting some light on the topic; so you can get a definitive conclusion. With each one promising a certain level of thickness and stimulating changes to your work piece, it is vital to understand them individually. Read this article to find out which one is best for what purpose, understand what each one is, and which factors to consider before investing in any of them. When planning to level wood for a do-it-yourself project at home, things can get confusing as many people can hardly make a difference between a jointer and a planer, and once they’re sure they need a planer; the difficulty lies in choosing the right one. These two tools are both great for a uniform wood piece, but the issue will remain which one is suitable for that fancy top or thickness you desire. Well, there is no need for scratching your head too much. Below are the underlying differences of hand planer vs bench planer. 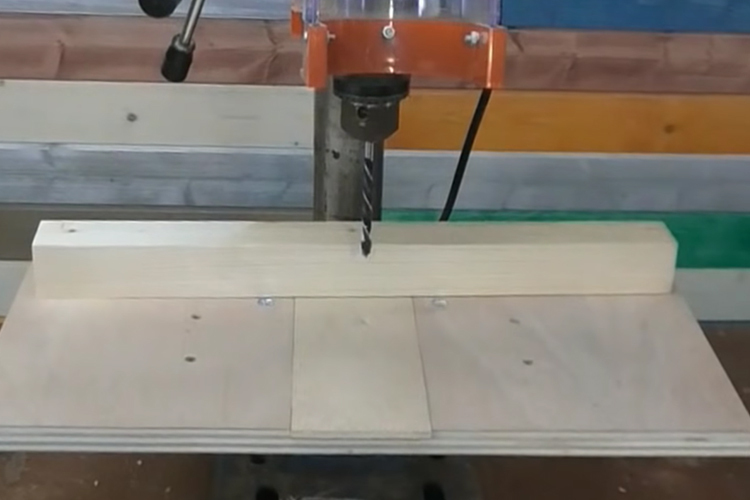 Hand planer is a tool used by both hands to flatten up the corners of a board or thin wood, or paring off frames that are twisted, with higher accuracy. It is best for a little bulk of woods. Though it travels down in history, you’ll never miss it in most of the carpenters’ toolboxes. To use it, hold the knob at the front with one hand and then the handle, also known as a tote with the other hand. This way, you’ll have a firm grip to operate it. The depth of the iron can be adjusted from the knob. Also known as table planer, it is a tool that creates a flat surface on an uneven top and edges of S2S wood. It is best for use when you have bulkier wood to smoothen as it gives the surface a better and flatter shape. The bench planer is quite heavy; therefore, you have to be cautious when trying to lift one. It comes in different sizes but the wider it is, the better. The length of these planers ranges from 9 to over 22 inches and its crucial part being the iron or the blade which is set slanting 45 degrees. Now that you are aware of what the two are then the real question remains, bench planer or hand planer? The main difference between the two is that the bench planer has a wider planning area than the hand planer. Other than that, the uses and the benefits are another part which will show you some other differences. Go through them to find which one is ideal for your next woodwork project. When to Use a Hand Planer? 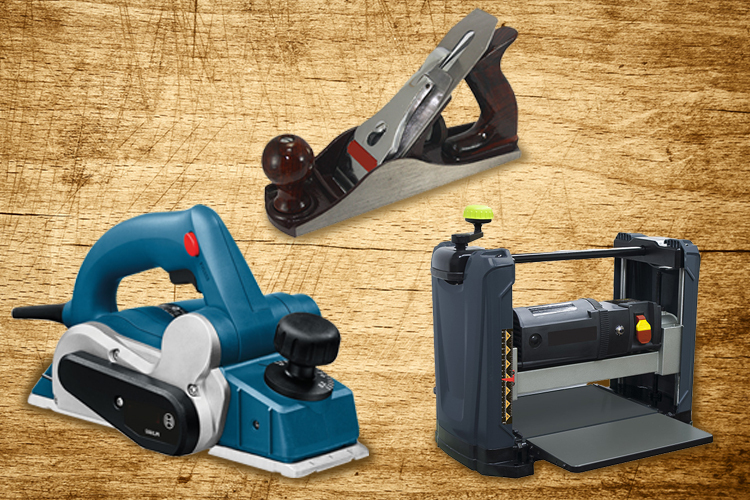 The hand planer has come a long way from its only version to a plethora of styles that exist today. And since it’s been out for too long, there aren’t too many types left. But you can still find some of them in hardware or antique shops. There are two types of hand planer, manual hand planer, and electrical hand planer. The manual is the common one and still preferred over the latter. When to Use a Bench Planer? Table planer consists of three types; jointer, smooth, and jack plane. Jack measures 11-17 inches. Its narrowness has made it be called cute as one may be required to work harder to plane one side. But it’s useful for removing twists on boards. The jointer is the largest table plane with a length of over 22 inches. It’s best for straightening longer boards. Smooth bench plane measures 9-10 inches. You can use it to level spots that are going to be used for furniture. Can also act as a sander. Best when you have a chunk of lumber. Everything has its drawbacks, but that does not limit the bench planer or hand planer from their fate. It is best to know what disadvantages are now that you understand their benefits. Due to its nature of portability, they can cause accidents for any unintended moves. The first thing to look after in hand planer vs bench planer is your safety. The rule applies to both planers. Wear safety glasses and limit your exposure from the tools. If working from a workshop, ensure that there is enough space for movement. Lastly, have a mask around as specific wood dust can cause allergic reactions. Go with your budget. Bench planers tend to be more expensive than hand planer. It’s common for things like rust to eat up parts of a machine reducing its efficiency. Therefore, it’s essential to store your planer away from places with high humidity. Ensure to lubricate any moving parts to reduce friction regularly. For your blades, sharpen them often for maximum precision. And also remember to tighten the bolts of the planers. So, Bench Planer or Hand Planer? Well, it depends on the purpose intended. Bench planer is ideal for more significant woodworking projects and best for a workshop. Hand planer is perfect for smaller household routines or a home workshop. For the carpenters, then both are great, but it depends on the amount of work. Home artisans can go for a hand planer. From the above explanation of bench planer vs hand planer, the confusion comes to an end as you now have a clue what to go for. Make sure to use the planer for its intended purpose and always to keep safety first. Each of the planers may be different in its unique way, but pay attention to their functions. Hand planers might be more straightforward and manual, but remember that it’s best when it comes to smaller woodwork and portability. Bench planer, on the other hand, is superior and best for preparation of wood for something else. In the end, go for something that you are sure will give you the success and the beautiful piece you desire. 10 How to Use a Benchtop Planer to Prepare Your Work in Minutes?